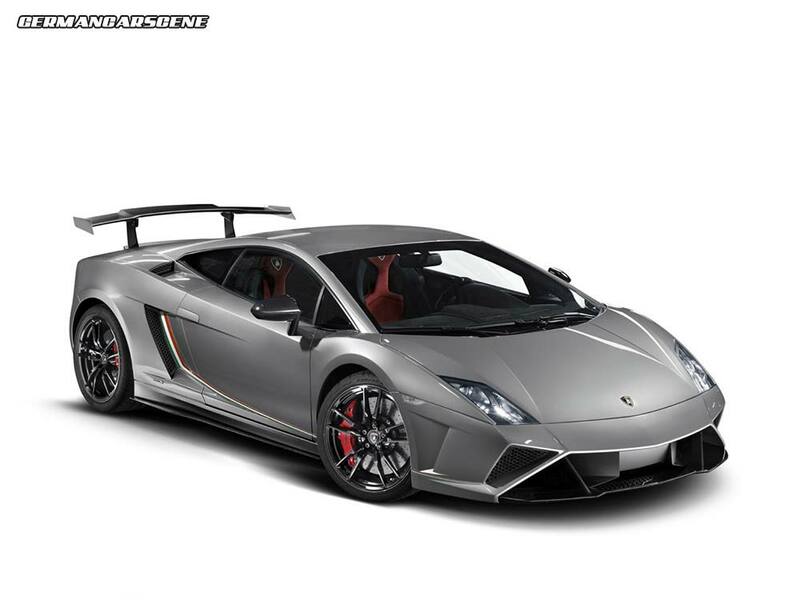 Lamborghini has released details of the Gallardo LP570-4 Squadra Corse ahead of its debut in Frankfurt this September. Essentially an updated version of the Super Trofeo Stradale, the Squadra Corse takes its name from Lamborghini’s racing department and is the closest thing you can get to a road legal Super Trofeo racecar. 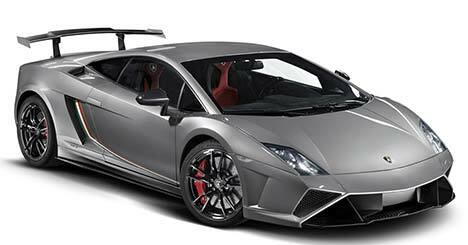 Based on the standard LP 570-4 chassis, power comes courtesy of a 5.2-litre V10 which sends 419 kW (570 hp) and 540 Nm of torque to all four wheels via a 6-speed robotized sequential system operated by flappy paddles. Tipping the scales at 1340 kg, it hits 100 km/h in 3.4 seconds, 200 km/h in 10.4 seconds and a reaches a 320 km/h (199 mph) top speed before the carbon ceramic brakes are applied. Visual clues to the car’s identity include a front spoiler, rear diffuser and 19-inch forged alloy wheels in gloss black, along with mirror casings, a raised rear wing and quick-release engine cover all constructed from carbon fibre. Available in Giallo Midas (yellow), Monocerus Bianco (white), Grigio Thalasso (grey) and Rosso Mars (red) exterior colours, the body is finished off with tricolour striping as a nod to the company’s heritage. Moving inside, the dashboard is trimmed in Alcantara, with the door panels, centre console, handbrake cover and racing seats all carbon fibre, although customers can specify ‘comfort’ seats as an option. But don’t do that. 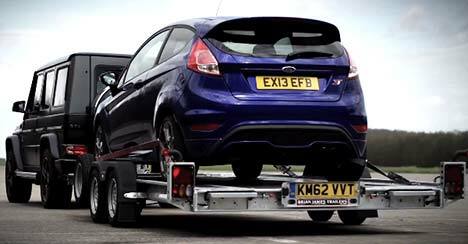 Today’s episode of DRIVE with Chris Harris, see’s the fanbois’ favourite putting Ford’s feisty Fiesta ST through its paces, before introducing a Mercedes G 63 AMG into the equation – but not in the usual way. The Fiesta is equipped with a 1.6-litre EcoBoost petrol engine developing 134 kW and 240 Nm of torque, helping it to hit 100 km/h in 6.9 seconds, while the hairy-chested G-Wagen takes just 5.4s thanks to its sinewy 5.5-litre V8 biturbo units developing 400 kW (544 hp) and 760 Nm. This latest video from Auto Express magazine sees Luke Madden heading to Neckarsulm to review Audi’s latest sledgehammer, the RS 7 Sportback. Propelled by a twin-turbocharged 4.0 TFSI V8 engine, the RS 7 has 412 kW (560 hp) and 700 Nm of torque at its disposal, which is delivered to all four wheels via a specially tuned eight-speed tiptronic transmission. 100 km/h appears in just 3.9 seconds, while the limited 250 km/h top speed can be raised to 280 km/h (174 mph) with the optional dynamic package and 305 km/h (190 mph) with the dynamic package plus. Following on from its 50 Years Edition model, Porsche is set to round off celebrations of the 911’s anniversary with the addition its most environmentally friendly variant yet, the 911 Blu Edition. 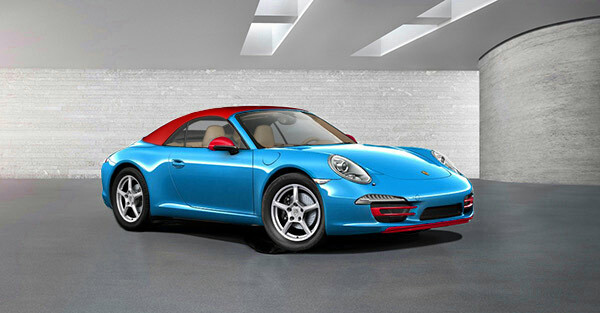 Offered in Convertible guise with PDK transmission as standard, the Blu Edition is finished in Riviera Blue with Guards Red highlights on the intake trims, lip spoiler, mirror casings and composite roof. Along with the roof panel, which weighs just 22 kg and replaces the regular car’s hydraulically-operated framework altogether, Porsche has fitted 18-inch hollow-spoke alloys wrapped in low rolling resistance (tractor?) tyres specially created by Michelin. Overall there’s a total weight saving of 63 kg compared to the standard model, rising to 85 kg with the roof removed. Under the engine cover is a revised 3.4-litre flat-six that features low-friction silicon carbide-coated pistons, titanium alloy connecting-rods and selective cylinder deactivation technology. Torque remains unchanged at 287 Nm, but power is down from 257 kW (350 hp) to 224 kW (300 hp). On the road 100 km/h appears in 5.4 seconds with a top speed of 266 km/h achievable. Further measures include an active grille shutter system to enhance aerodynamic slipperiness, an advanced stop/start function and alternator that disengages during normal conditions, but activates during decelerating. That technology results in a combined EU5 fuel consumption of 6.4 l/100 km with CO2 emissions of 152 g/km, which crush the regular Carrera‘s figures of 8.4 l/100 km and 198 g/km. Expected to make its debut in Frankfurt this year (September 11 to 22), with just 911 examples being built at a price of €74,600, buyers will be chosen via a lottery system comprising of interested members of officially approved Porsche Clubs. This just looks dreadful, and everything that a 911 shouldn’t be; the automotive equivalent of a doughnut with all of the tasty jam sucked out of it. Mercedes-Benz has been seen at the Nurburgring testing a pre-production version of its GLA-Class – complete with jaunty taxi sign. Based on the recently revealed GLA Concept, the crossover stands 1.57 metres tall, 4.38m long, 1.97m wide, 1.57m tall and has a wheelbase of 2.69m, placing it in the same segment as the BMW X1 and Audi’s Q3. Sharing the same platform and drivetrains as the A-Class, the GLA will initially be offered with a 155 kW (211 hp) 2.0-litre 4-cylinder turbocharged petrol engine mated to a 4MATIC all-wheel drive system, with a flagship GLA 45 AMG version, using the glorious 265 kW (360 hp) unit found in the A 45 AMG, following later. 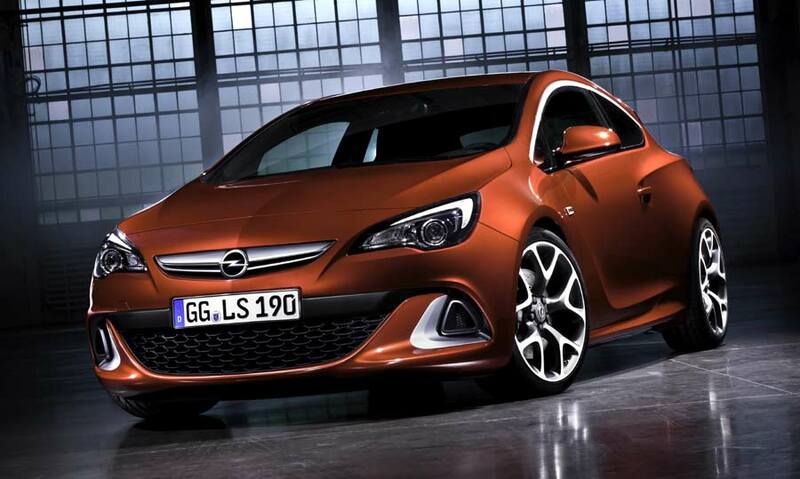 The tuning wizards at Superchips have released details of what they can do for your Vauxhall Astra VXR or Opel Astra OPC as we know it. Already producing a healthy 206 kW (280 hp) and 400 Nm of torque from its turbocharged 2.0-litre engine in stock guise, Superchips’ Stage 1 option relies on remapped ECU software resulting in an additional 17 kW (23 hp) and 61 Nm along with a crisper throttle response. Owners can either perform the change themselves with a Bluefin ‘Plug-In and Go’ DIY programming handset or make an appointment with their local Superchips dealer. Pricing is £455. Stage 2 costs the same, but is only carried out on cars fitted with a free-flowing exhaust system and sports catalyst (sold separately through Superchips’ partner Thorney Motorsport for £1,614). Those alterations see output raised by 24 kW (32 hp) and 75 Nm.